Clear glass provides the highest light transmission & the highest heat gain of all glass. It can be used in double glazed units. Is available in toughened & laminated form for doors & low level glazing. It is ideal where winter heat gain is needed & high daylight levels are required. Grey tinted glass is the most common & our standard tinted glass. It provides a lower light transmission, reduced summer heat gain, gives privacy during the day, reduces glare & fading of furnishings. It is used in the outside pane of a double glazed unit. It is available in toughened & laminated form for doors & low level glazing. Ideal for large expanses of glass in north & western elevations & enhances the sleek look of modern homes. It is ideal where privacy is an issue. It should be noted though that tinted glass is not one way glass & will give no privacy when it is night time & lights are on inside. Other tint colours of tinted glass are available but are more expensive, they include green, blue & bronze. Cathedral glass is a classic patterned glass used in bathroom & ensuites. It is available in laminated form & can also be used in doors. It can be incorporated in double glazed units. While it is an obscure glass shapes & movement can be seen through it. Translucent glass is 2 panes of clear glass laminated together with a white translucent interlayer. It gives high daylight levels with a soft pale white finish. It is completely obscure & can not be seen through at all. Suitable for entry doors, door sidelites, bathroom windows & any other areas that require light but total privacy without the use of curtains or blinds. It can be incorporated into double glazed units. A sleek & modern glass. 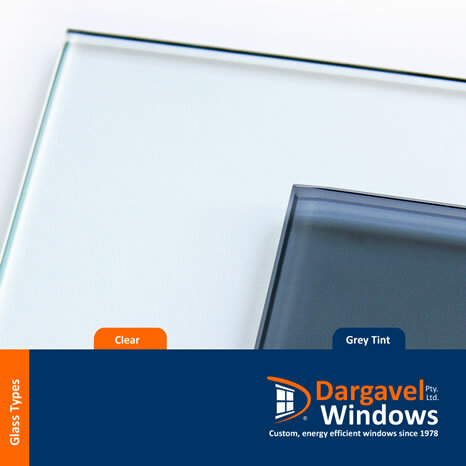 Dargavel Windows can also provide many other glass types which we source from Viridian Glass. 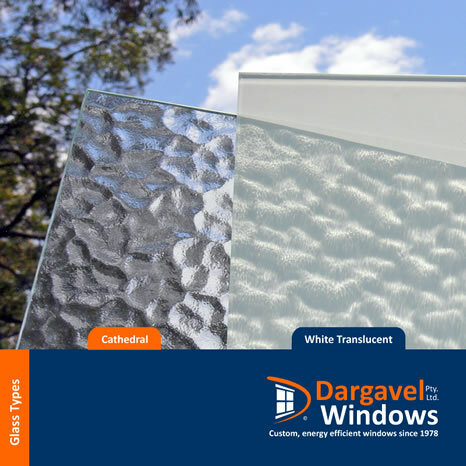 A link to the Viridian Glass website it provided below along with some examples of the most common glass types used by Dargavel Windows Pty Ltd.